Sovereign Hill has been delighting visitors since it was officially opened to the public on Sunday, 29 November 1970. 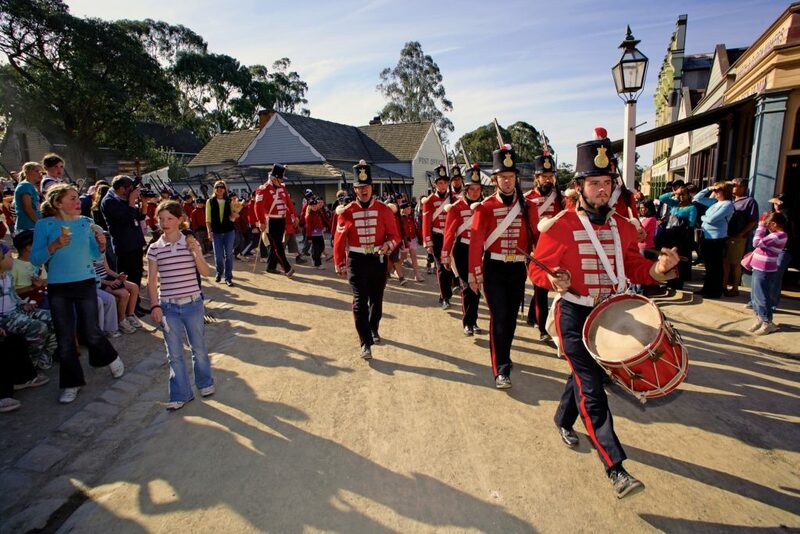 By day, Sovereign Hill is where Australia’s history comes to life! You can see a spectacular $100,000 gold pour, venture underground on a fully-guided gold mine tour or catch a horse-drawn coach and tour the town. 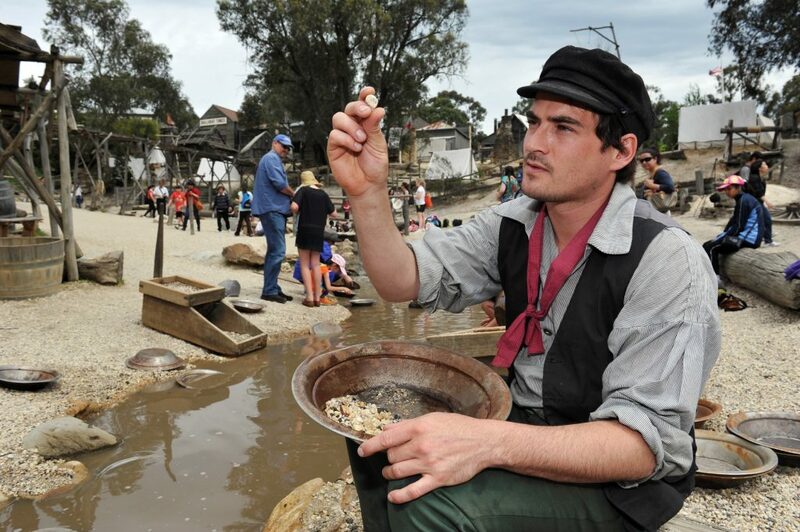 Go shopping 1850s-style and visit hotels, schools and a theatre with goldfields entertainers. See steam-driven machinery in action and chat with our wheelwrights, candlemakers and confectioners as they ply their trades. On our streets and in our theatre, you will be entertained by costumed goldfields characters who are happy to pose for a great photo. 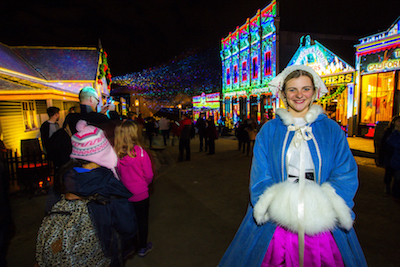 By night, Sovereign Hill presents its spectacular, multi-million dollar sound- and-light show, ‘Blood on the Southern Cross’, the dramatic story of the 1854 Eureka Uprising. Sovereign Hill is an internationally renowned, award-winning outdoor museum operated by The Sovereign Hill Museums Association, a not-for-profit, community-based organisation.